I'm joining Rednesday over at It's A Very Cherry World! Take a deep breath ...... it's RED and it smells like heaven! ... the scent has filtered thru! Goregous! Wow, what a great shot of that gorgeous rose! I feel like I can almost smell it! Pretty rose! Pity we don't have a smellercam!! that is spectacular! Love it! Wish I had a rose garden! Mmmm... delicious! Gorgeous rose. The deer eat all of ours, sadly -- so I love enjoying other people's roses in pictures, thanks! How beautiful. Love your banner-it's so cheerful! I agree with Sandi that we need a Smellercam! Love that word! 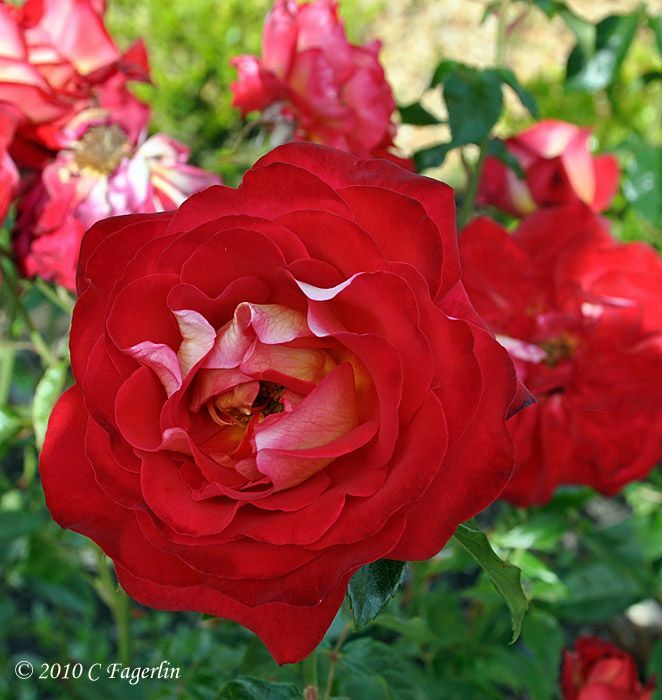 Even more, I love that rose - and all your other roses you share with us! In the Garden is my all-time favorite hymn. I wish that I could smell your beautiful rose!! How about it Blogger, when will that feature be offered? I'm so grateful that you shared that beautiful rose. There is beauty all around us if we take the time to see it. Thanks for sharing. Happy Rednesday. I'm a new follower! There is something so wonderful about a RED rose .... and this one is extremely beautiful in person, almost like velvet! Thanks for stopping by to smell the roses with me! So very pretty!! Wish I could smell it! Thanks nanykim and Ann, I'm glad you could stop by to see this very RED rose!